Isn't this hilarious? 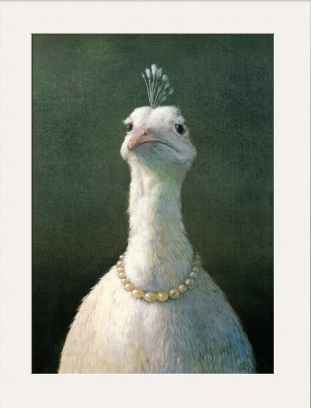 It's title is "fowl with pearls." I love artwork with a sense of humor. She's kinda cute, right? Hope you have a lovely weekend. I'm planning on it. Awesome! I love this! I've actually seen it before and never knew where to buy it! Thanks!